Since 1975, we’ve built our customer base through years of hard work and determination. 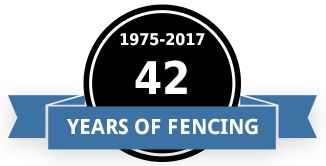 Our staff takes great pride in providing you with top quality service and promise your complete satisfaction when choosing us for all of your material sales fencing needs. Our company has developed and focuses on customer service practices based on courteous and professional service for all our clients. Serving the counties of Carroll, Montgomery, Howard, Frederick and Baltimore. 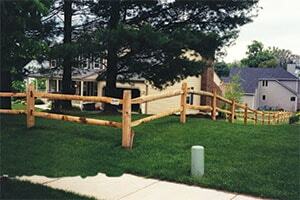 Our comprehensive material sales selection allows our customers to make educated decisions on the fencing needs. We’re a full-service professional fence contractor providing a complete range of fence installations and fence repairs serving homeowners, general contractors, home builders, architects, landscapers and more. With our extensive knowledge and experience with qualified staff and installation crews dedicated to the diverse needs of our customers, Rustic Fence, Inc. aims to go above and beyond when it comes to customer expectations. We’re experienced working with a variety of customers from homeowners to municipalities to area companies and provide fencing products and installation services for residential, commercial, athletic facilities and fields and farm and ranch. We also offer snow plowing services to our local areas and as a convenience to our fencing customers.